Originally printed on February 4, 2015. PRENTICE David Malcolm. Suddenly, while walking in Uganda, on Wednesday, January 21, 2015, David, aged 70 years, beloved husband of Liz (nee Notman), dearly loved dad of Rowena, Laura and Roland, dear father-in-law of Lucy, loving grandfather of Isabella and Aurelia and a much loved brother of James. Funeral on Monday, February 9, service in Perth Crematorium at 3 p.m., to which all family and friends are respectfully invited. 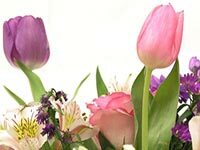 Family flowers only, please, but if desired, a retiring collection will be taken at the Crematorium for the Mount Elgon Appeal.